One for the daredevils! 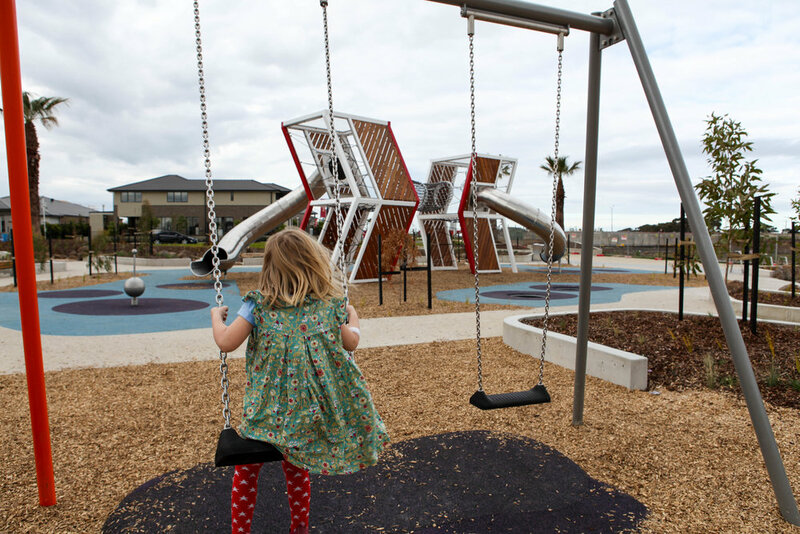 New and a little different - this is quite an interesting and quirky little playground. The main slide towers are only accessible by an intricate web of ropes, making it really only suitable for 5+ or very good confident climbers! There aren't any ladders either so in other words the only way up is to climb! 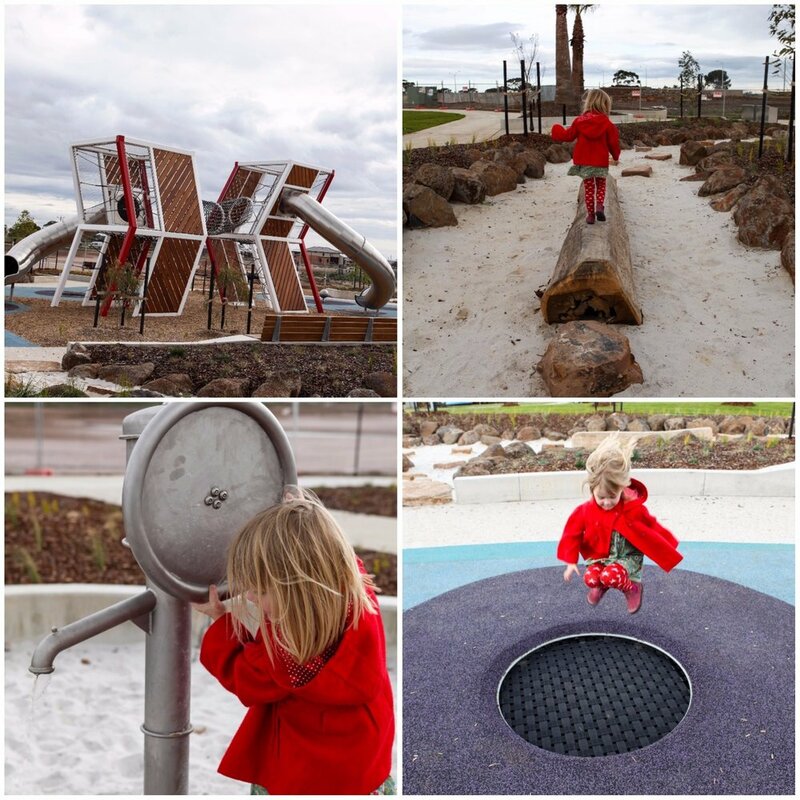 Never fear, there is lots of fun on ground level too if you don't have a climber OR indeed you may have a younger sibling that will like the soft fall, sand pits, swings, water pump and mini trampolines! It is a good one for the older kids with the challenge of making their way to the top and then even daringly to cross between the two! Mamma's special mention: Nearby Presidents Park is always fun too! Oh and if you are looking for something to eat - head back into Werribee Watton St to the very popular Truck Stop Deluxe for a burger!